Dr. Sheila Nelloms is the proud principal of Peachcrest Elementary. She has over twenty years of experience in the field of education. Her goals for Peachcrest are to provide a safe and nurturing environment for all students, to engage all stakeholders in the educational process and to increase academic performance for all students in each content area. 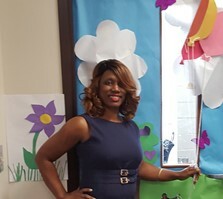 Mrs. Terri Dunlap, is an Assistant Principal for grades Pre-K, Kindergarten, 2nd, and 4th grades at Peachcrest Elementary. 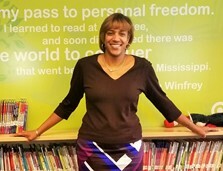 Mrs. Dunlap has spent numerous years in education as a Classroom Teacher, Reading Specialist, and Academic Data Coach. She has expressed her excitement as she looks forward to all of the new challenges we will face together and to all the successes we will achieve together. Mr. Stanley Gaddis, is a veteran educator with over 18 years of teaching experience and 7 years of educational consulting and coaching. 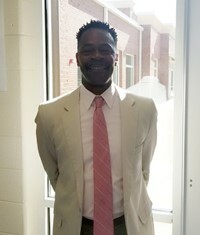 Mr. Gaddis prides himself in building lasting educational relationships with students and parents. His strengths are in the areas of discipline, teacher support, and mathematics. He has made an enormous impact on our students and helped to strengthen their love of math as well. Mr. Gaddis' passion for helping students succeed is his motivation. Life is a like math equation. In order to gain the most, you have to know how to convert the negatives into positives.